The Granit Steel-O-Flex 1000/100 from Abus is a firm favourite in high crime areas. 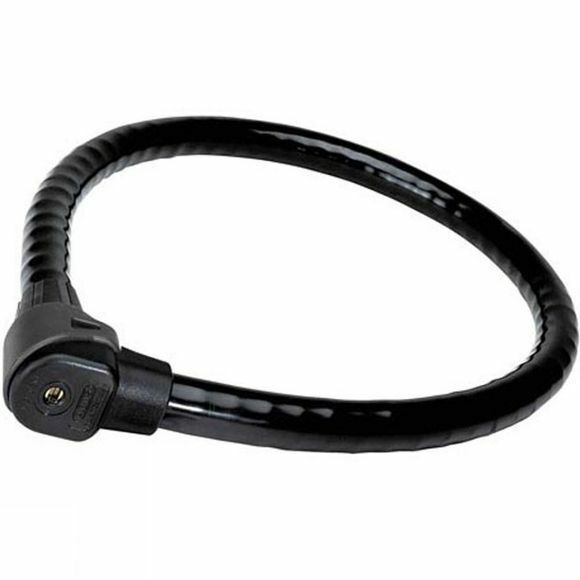 Every area of this cable lock's construction has been specifically hardened making it enormously resistant to all forms of physical attack. With over 250,000 genuine key combinations thanks to the Abus Plus key mechanism and impressive toughness and flexibility, this is a lock that will protect your bike wherever and whenever you use it. This lock is also compatible with the UGH bracket system which for easy transportation.